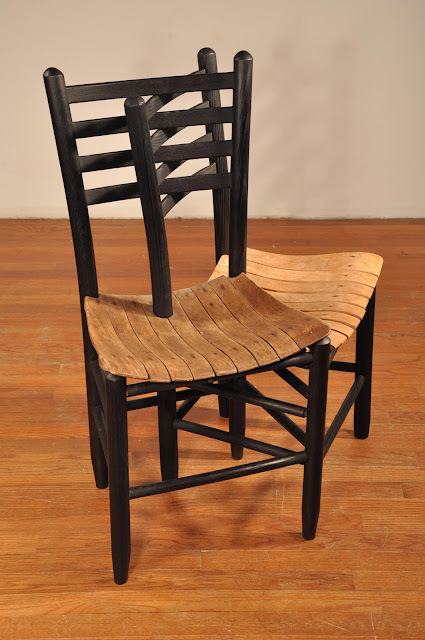 At first glance the work of furniture maker Tom Shields looks like special effects or a camera trick. However, upon careful inspection, you'll realize that you're viewing the work of a master craftsman. It is with great pleasure that we present the artistry of Tom Shields. How did you enter the field? I learned woodworking apprenticing in the trades. I deliberately made this decision, for I believe that in order to effectively express yourself with a material you must intimately understand its nature. I felt the best way to acquire that knowledge was by working with wood day after day, year after year. After ten years of building everything from furniture, cabinets, and coffered ceilings to spiral staircases I finally felt confident that I could build whatever my head could come up with. 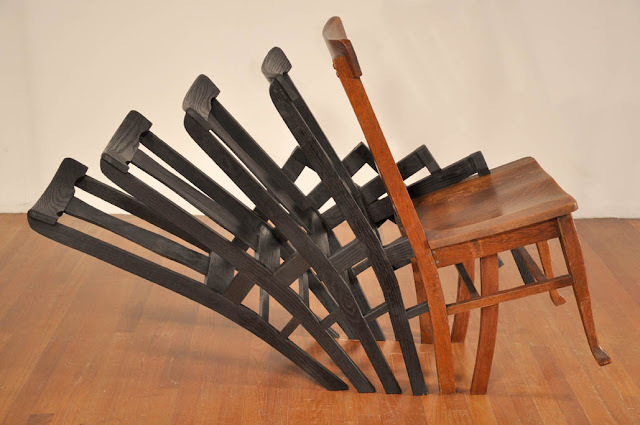 I then enrolled in graduate school and received a MFA in Wood/Furniture. Here I coalesced all my skills with content and concept: I discovered how to make my work speak. I have become so deeply involved with wood as a substance that it has become the unconscious core of how I express myself visually. When I want to communicate an idea I immediately tap into the techniques and forms that I have spent all this time learning. I make “furniture” not because I am a furniture-maker, but because these forms have become my reflex vocabulary. I love the marks and damage on the discarded old furniture I work with. These marks imbue the material with a history much larger than myself. The wear on the front lower stretcher, and the scratches in the old varnish show evidence of the lives it literally supported. Despite my fascination with wear and damage my finished work is crisp. I fabricate and polish new parts and seamlessly join everything together. My starting point can be raw and chaotic, but my process and end results are clean, ordered and functional. 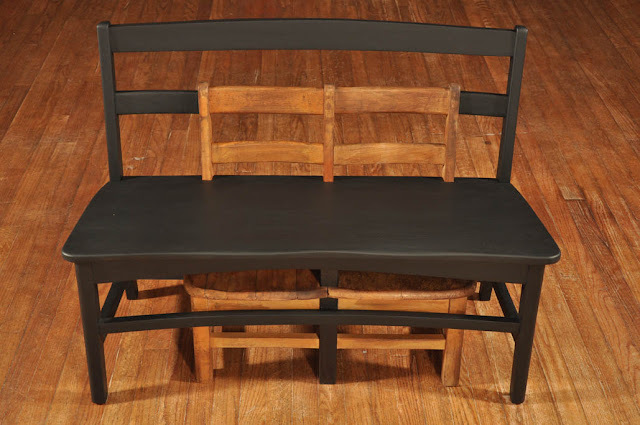 I use the forms and lines of old furniture to create new functional pieces which evoke the past while nodding to the future. 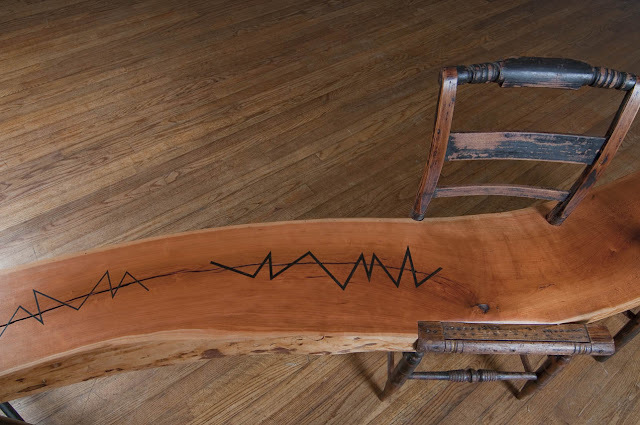 When did you first discover you had a natural talent for furniture making? My father was a math teacher and my mother was an accountant. Art did not play a huge role in my life growing up. I did, however, learn from them the importance of finding beauty in what surrounds us every day. I became enthralled with things as disparate as a well-drafted comic book, to the fluid motions of an accomplished athlete. I have made things my entire life, and studied painting in college, but I finally found my true passion for making the first day I apprenticed with a woodworker. I picked up a hand-saw and a chisel and have not stopped, or felt any desire to work with any other material since. My favorite place to look for visual inspiration is thrift and antique shops. The ways they stack and store piles of old furniture fascinates me. 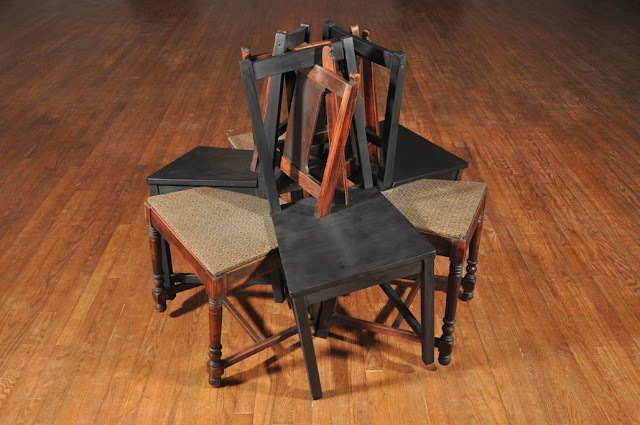 The random connections in a stack of chairs, the negative spaces created when chairs are hung on walls and overlapped: The smells, colors and patinas in these spaces are so rich. I also enjoy looking at how things break down and decay. The photographer Rosamond Purcell once explained her fascination with wear and decay to me, and her words ring so true. If you look at ten typewriters together in a store each one looks exactly the same: leave them outside in the elements for a year and each one becomes a unique object. Conceptually my work addresses interpersonal relationships, so I also find inspiration through observing and analyzing peoples interactions. My chair compositions reflect and contemplate how we as people organize our relationships, resolve conflicts, and grow closer to and sup! Being an artist allows me to fulfill two of my most basic needs. To think, and to make. If I leave work at the end of the day and there is not some physical representation of what happened I feel useless. If I leave work and all I have done is use my body and my hands, and not challenged myself mentally I feel frustrated. I decided to make art because it’s the only lifestyle that constantly allows me to fulfill both of these needs. I can read and think about environmental issues, dwell on my relationships with friends, ponder the lifecycle of a plant, and churn it all around while I am making an object which will have a physical presence. Art allows me to embody abstract ideas into physical objects. Recently I have realized that art also allows me to experience and interact with other people’s interests and aesthetics as well. Though commissions I am able to add another persons concerns and ideas to the list churning ar und in my head, and create an object, which reflects them as well as me. Shown extensively in galleries throughout United States. 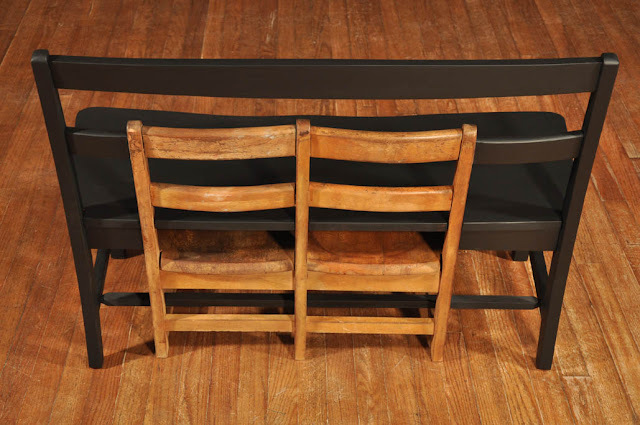 Commission for D’Amour Museum of Fine Art - Springfield MA – Gallery seating. Commission for North Carolina Museum of Art – Raleigh NC - Sculpture Park. Published – Lark Books – 500 Cabinets. Wonderful. 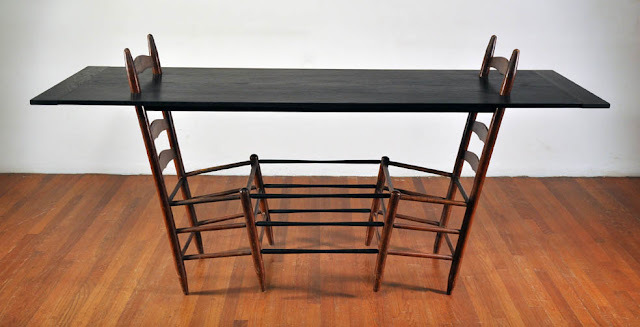 I only wish I could buy things from craftsmen/artists like Tom.